The application of plating or coating a threaded fastener can greatly affect the state of friction in the joint and we are here to ensure fastener quality and safety. 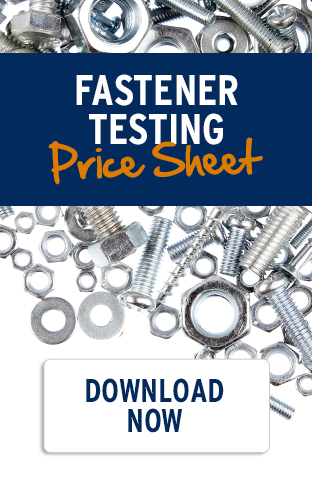 Using our state-of-the-art coefficient of friction machine, we test the consistency of friction throughout the fastener. To do so the fastener is properly prepared and mounted in our state-of-the-art Coefficient of Friction machine, where we measure the static and kinetic friction produced within the fastener joint.